“One of the greatest cellists of the twentieth century, a performer who combined technical brilliance with soulful expressiveness, Danil Shafran was born in 1923, in Leningrad (now St. Petersburg). Shafran's first teacher was his father, who was the principal cellist of the Leningrad Philharmonic Orchestra. At the age of eight, Shafran started studying with Alexander Shtrimer, at the Special Music School for Children. Two years later, he was among a group of students selected to advance directly to the Leningrad Conservatory. When he was eleven, Shafran made his début with the Leningrad Philharmonic, continuing his studies with Shtrimer, who taught the young cellist to appreciate music in the wider context of humanistic culture and of art in general. In 1937, Shafran won the All-Union competition for cellists and violinists. The prize was a magnificent 1630 Amati cello, which Shafran played until the end of his life. This instrument had a delicate, but gorgeous, tone, and Shafran was sometimes criticized for playing an instrument that was perceived as more appropriate for chamber music. 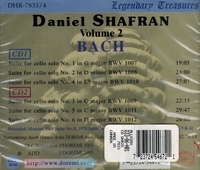 In 1950, the year he graduated from the Leningrad Conservatory, Shafran won the Prague International Cello Competition. Although Shafran toured Europe, the U.S., and Japan, he shunned the glamour of international fame, preferring to perform and record in the U.S.S.R. His recordings, for the Melodiya label, include much of the standard cello repertoire, with particular emphasis on Romantic and -century Russian music. For example, he recorded Kabalevsky's Cello Concerto #1 in 1954, creating, two years later, a legendary recording of the Cello Sonata by Shostakovich, with the composer at the piano. 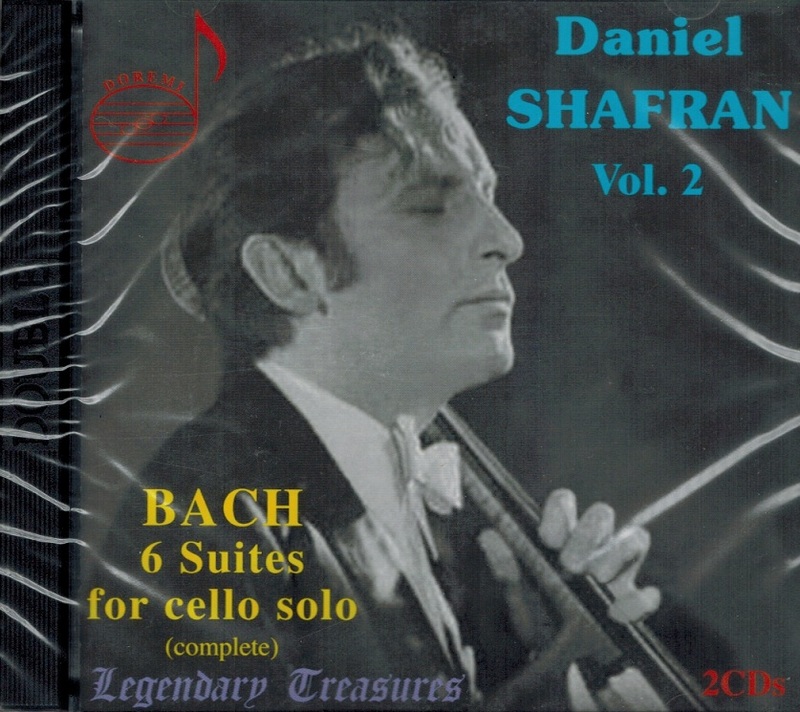 One of the high points of Shafran's career was his 1967 performance of Kabalevsky's Cello Concerto #2, one of the most demanding works in the cello repertoire. Written as a musical monument to the victims of World War II, and dedicated to Shafran, Kabalevsky's extraordinarily difficult work provided the cellist with an opportunity to display his prodigious technique and profound musicality. 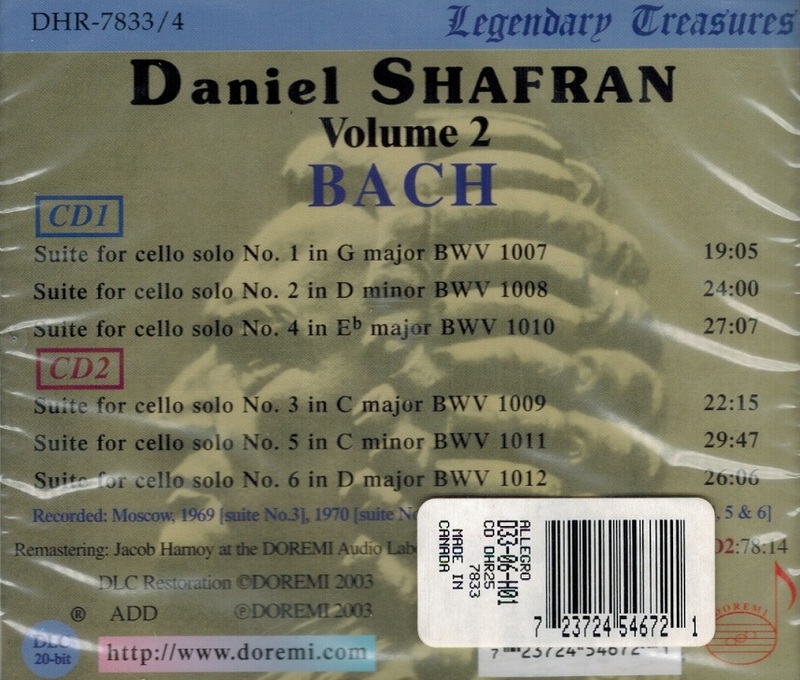 Throughout his career, Shafran sought to enrich the cello repertoire by playing transcriptions of works for other instruments. Many of these transcriptions, which include the Franck Violin Sonata and the Shostakovich Viola Sonata, are miniatures by composers such as Schumann, Chopin, and Brahms, which he often offered as recital encores. Daniil Borisovich Shafran had a creative career of more than 60 years and music journalist Artyom Vagraftik described him as '…a man who was literally chained to his cello and who imagined no life without constant communication with music'....that Russian cellist extraordinaire, Daniil Shafran – whimsical, tripping, intense, sensual, refined and intelligent….a rich source of fascination and stimulation for anyone with an open musical mind."